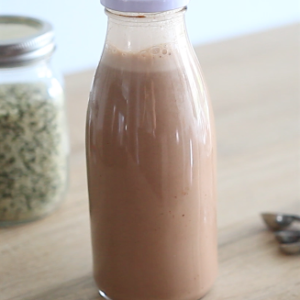 A super quick, creamy and dairy-free chocolate milk recipe that takes less than a minute to make. Add all ingredients to blender and blend on high until completely smooth, about 10-30 seconds depending on blender. Enjoy immediately and store extras in jar for up to 5 days.